An Australian contingent of volunteer experts is preparing to travel to the world volunteer conference in London in December. FYA's Jan Owen is to be the only Australian keynote speaker at the world volunteer conference in London in December. An Australian contingent of volunteer experts is preparing to travel to London for the world volunteer conference in December. The CEO of the Foundation for Young Australians and a pioneer of the youth sector in Australia, Jan Owen, will be the only Australian keynote speaker at the three day world volunteer event. Owen will lead the Plenary session on the first day of the conference on Youth, Volunteering & Employment along with the UK’s Mary McPhail, the Chief Executive of the World Association of Girl Guides and Girl Scouts. Owen was awarded the Order of Australia for services to children and young people. Recently she was named as Australia’s Top Woman of Influence. The global conference is hosted by International Association for Volunteer Effort (IAVE). Australian and former World President of the IAVE, Margaret Bell AM will attend the conference in her capacity as the Patron of the peak body she founded, Volunteering Australia. 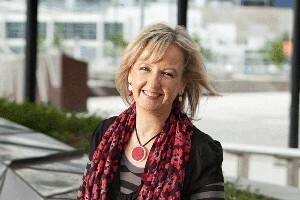 Bell has a long history of championing volunteering and has made an extraordinary contribution nationally and internationally.She is the founder of Chain Reaction Foundation, which works with community, business and government leaders to find clearer, more sustainable ways to live and work. Bell was made a member of the Order of Australia in 1991 and has been honoured by the United Nations in being declared a world leader on volunteering and community development. Richard Patterson the CEO of Volunteering Gold Coast will take part in a conference panel on regional volunteer centres. The President of Volunteering Australia, Paul Lynch will also attend the conference. The conference, from December 10-12th, will provide the first global summit on Corporate Volunteering, designed to attract companies, from every around the world. The discussion will be around what will corporate volunteering look like five, ten years from now? A special feature will be the first presentation of the IAVE Global Corporate Volunteering Awards. The conference will also see the first IAVE global dialogue on NGO-Corporate Volunteer Partnerships. Conference organisers say the engagement of young people, ages 15 to 30, will be a key component of the discussions by each constituent group with invited participation by key leaders of youth volunteering, building on work done at the 2nd World Summit on Youth Volunteering in November 2011. The three-day conference program will include plenary sessions, special issue forums, focused dialogue sessions and workshops. Participants will have opportunities throughout the conference to meet both in work sessions and socially.